Lead & Nickel Free!! 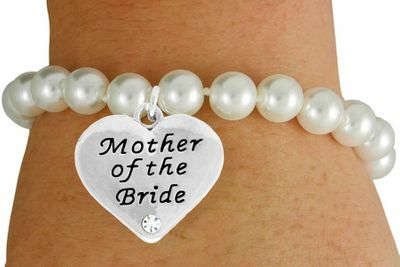 Cream Color Faux Pearl Bracelet Suspends A Heart Charm With The Words "Mother Of The Bride" Printed In The Center. At The Bottom Of The Charm Is An Austrian Crystal Faceted Stone.